Towing - Main & Hudson Service, Inc. Car Won't Start? Call Us for a Tow! The last thing you expect is for your car or truck to become disabled. You don't have to leave your vehicle where it is in the event of a breakdown or accident. 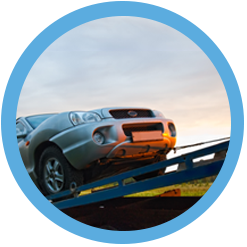 Main & Hudson Service Inc. of Royal Oak, Michigan, offers fast help when you need towing or wrecker services. If your automobile requires car or truck repairs, we'll tow it back to our shop and do the work. Flatbed towing and wrecker services are provided during our normal business hours anywhere and everywhere in Royal Oak and locations and surrounding areas. Main & Hudson Service Inc.
© 2019 Main & Hudson Service, Inc.